Hotel Platino Expo is a 3.5* hotel located in Guadalajara, Mexico. It features 17 rooms and swimming pools. 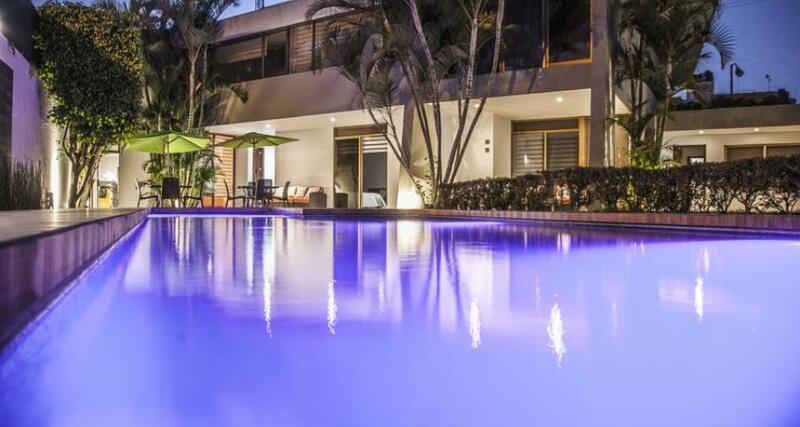 Beautifully modern interiors and a gorgeous outdoor swimming pool await you at Hotel Platino Expo, located within an exclusive residential area of Guadalajara. Guests can enjoy easy access to the Expo Guadalajara as well as convenient onsite features like dry cleaning services, a laundry and complimentary wireless Internet access.